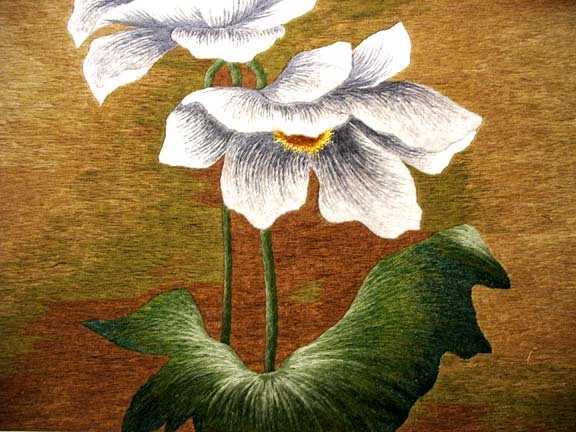 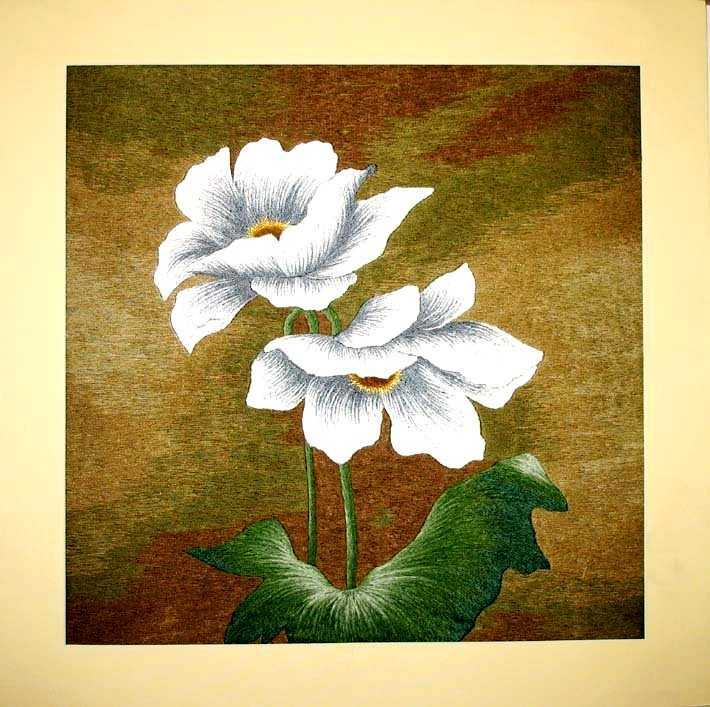 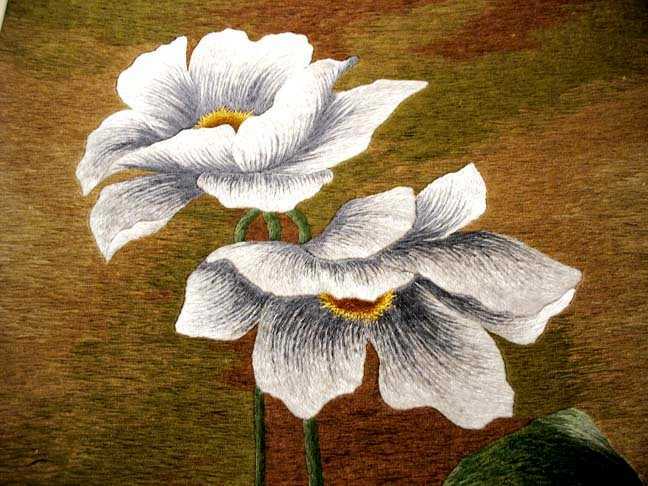 Full size (including the border) is 19" x 19" The picture is 16"x16" Exquisite embroidery of two beautiful white flowers. 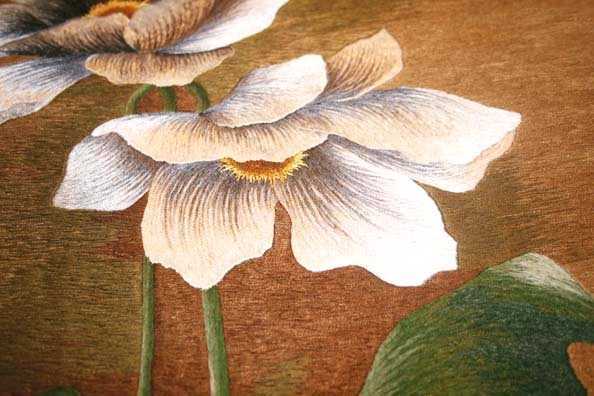 This is a fine hand emrboidered painting, beautiful in every detail. 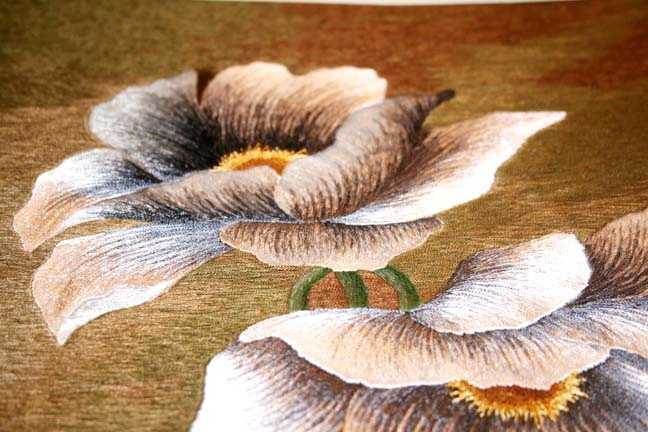 Please see the detail pictures to enjoy fine neddle work.